Artificial intelligence (AI) seems to be touching our lives at every turn. It used to be that you would listen to radio traffic reports during your morning commute. You might hear about a car accident on the radio and take a different route. Today, AI-infused talking personal assistants on our smart phones can tell us the best way home and even reroute us along the way. We know more about our surroundings than ever before. We are also starting to learn more about what’s going on inside the human body. There are new IoT devices that go beyond tracking steps, heart rate and calories burned. These devices are enabled by AI to have machine-learning (ML) capabilities. They can detect early signs of sickness or stress and suggest appropriate course of actions: take your vitamins, get some sleep, or go see a doctor! The so-called empathetic AI to help with depression is already here and will only be advanced to help us live a healthier and more fulfilling life. Although we are seeing more AI-driven applications in our everyday world, AI is still in its infancy. We’ve only scratched the surface of what it will become. As we can see from a series of talks by Jason Silva, a technology enthusiast and self-proclaimed futurist, data is alive. It’s talking back to us. It’s driving IoT to ultimately becoming a world of intelligence. At Western Digital, our embedded solutions capture, aggregate, transform and preserve data across IoT devices from smart phones to drones and surveillance cameras, connected cars, appliances, personal devices, sensors and more. 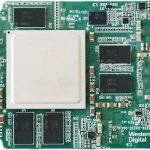 These devices live at the “edge” where our embedded solutions work behind the scenes in increasingly smaller, but simultaneously more powerful solutions. AI is hard at work at the edge, analyzing and processing data to give real-time feedback. AI has come on the scene faster than many expected. We can hardly keep up with the pace of innovation and all of its corresponding data. Analysts are predicting that in five to ten years AI will be much further along than it is today and it is hard to comprehend how it will impact almost every moment of our lives. Others project there will be more than 30 billion connected devices by 2020. These devices are increasingly infused with AI to track patterns, make predictions, and suggest actions before we even think about it. As you pass a bank, your smart phone or autonomous vehicle might suggest stopping to make a deposit, or even do it for you. All of this is made possible by data, AI and ML – the three pillars to the Intelligence of Things. Data is alive! See how #AI is transforming #IoT into the Intelligence of Things. As AI unlocks the value of IoT, existing industries are being disrupted and new industries are being created! Look at how driver-for-hire apps have changed the transportation industry. With the rise of autonomous cars we won’t have to think about things like parking lots because AI is taking care of it for us. We are only at the tip of an iceberg for more societal impacts that will change how we do things as we leapfrog into the future with the advancements of AI. What’s next in AI is taking advantage of the data collected and harvesting it for added value. Take surveillance cameras in retail stores today. Brick and mortar stores, major intersections, and banking facilities all have been recording hours, days and weeks of surveillance video for years. Up until recently, the footage was kept on tapes or hard drives for a certain period of time and then erased to make room for new recordings. If there was an incident, police would spend hours reviewing the footage for clues or evidence. Very little recording was used for advanced analytics to help with potential improvement or prevention. Implementing AI means looking at context versus content. In the case of surveillance, videos can be analyzed to improve the layout of the aisles in retail stores and the effectiveness of promotions to maximize revenues. City planners can program traffic lights for commutes to flow more smoothly. Law enforcement entities can quickly run through databases to detect unusual suspects or activities. The content collected by those same video cameras, by applying AI to track and analyze patterns, could provide a dashboard of valuable insights on a daily basis. Thus, it’s putting that content into context that makes the “Intelligence of Things”. Today’s “smart” home security cameras are equipped with motion detection sensors, so you may get alerts anytime a car (or a squirrel!) passes by. There are new products coming out with AI-driven intelligent cameras, which will apply facial recognition with machine learning to start providing the context of what is happening to help determine what really matters. AI is only as smart as it was designed to be. 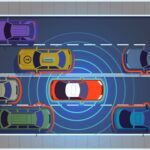 The challenge for AI when it comes to autonomous cars is that as cameras, LiDAR and other sensors collect and churn out data at the edge, it is difficult to capture, extract and learn in real-time. Algorithms can give a self-driving car high confidence in its assessment of the road conditions ahead and its surroundings, but what about those scenarios that are beyond what the AI algorithms were programmed to handle? Flash storage at the edge offers the best possible solution. In order to learn from the new scenario, all the data must be stored in its purest form, with very little compression. This data will be stored in the vehicle and then later offloaded to the cloud where, together with other new scenarios, the aggregated data is analyzed and algorithms are improved. These new algorithms are then downloaded to the car via OTA (over-the-air) to improve the knowledge base of the vehicle’s AI. This allows cars to continually increase their communal learning and intelligence of the AI system. AI is already enabling many innovative applications that are beyond imagination. It’s just the beginning for more life-changing transformations. With AI, companies will be able to make correlations they have yet to imagine. The future where technologies are made to create more meaningful connections is almost here. As we move to a more connected world, we applaud futurists and millennials like Jason who are the future with their energy, vision, commitment and tenacity. Fasten your seat belt and hear what Jason has to say about AI on Western Digital’s Data Make Possible website.